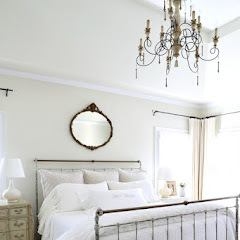 If y'all have read my blog for any length of time then you know I am drawn to farmhouse style and have added a bit of it in some of my home especially one of the guest rooms. I would love to live in a small farmhouse style home some day, but not sure that will ever happen. 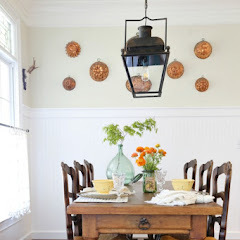 Thank goodness there are bloggers who do live in real farmhouses and I can live through them. 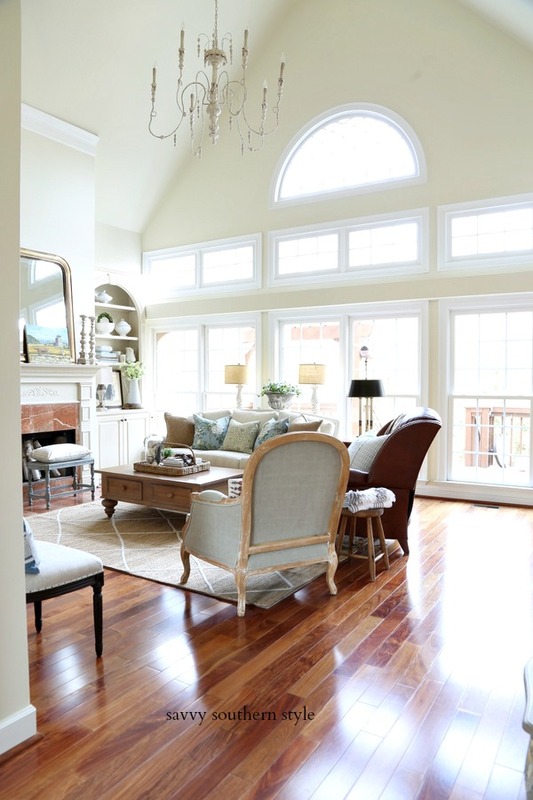 Y'all are in for a treat today as Susan shares her beautiful farmhouse. Hello, I am so excited to be here at Savvy Southern Style! Kim, thank you so much for introducing me to your readers. 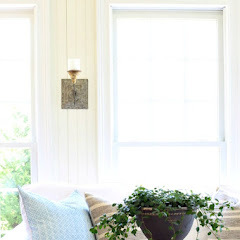 I am a fellow blogger at Love of Home and have followed Kim's blog for a number of years. I love that we both have a love of red and like to change things up every now and then! I live in Western New York with my husband and three children. We live in an old farmhouse built in 1890. My childhood home is nearby and I always admired the farmhouse, never did I dream that one day it would be my home! We have done a lot over the last 16 years but there is always some project on my list! I hope you enjoy this glimpse into home. I would love to answer any questions you might have. Our mudroom is the hub of our house! The kids have their own cubbies for their shoes, bags, etc. The beadboard has hooks all around for guests' coats. Our kitchen and family room were renovated 11 years ago. We wanted to create a more livable and family-friendly space. Our family room is really the gathering spot for our family. It's a homework spot, tv watching, and most of the time we have a basketball net in the family room for the boys! It gets moved once a year for the tree. The built-ins were high on my wish list when renovating. I love displaying family photos and books. Our living room is at the front of the house so it's a little quieter spot. We use it for reading, studying, talking and visiting. Since our home is old we don't have master bedroom or bath. Here is the winter version of our bedroom. Our dining room is open to our living room. I found the wallpaper a long time ago and fell in love with it. The china cabinet was recently painted. We have front and back porches that we use in the nice weather. The porch swing was used to rock my babies, now we sit outside and talk about life. 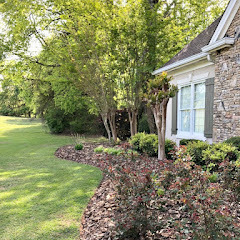 There are more photos of our home on my blog if you would like to stop by. Thank you again for letting me share our home with you. Thanks Susan for opening up your home and sharing it with my readers. Be sure to hop on over to Love Of Home see more plus she shares crafts, diy and recipes, too. Hi Susan...glad to see you here today!...you know how much I love your farmhouse...a home that many of us just dream to have...Love your home and how you have so beautifully decorated it....Great feature here today Kim!!! Thank you Ladies and a big THANK YOU to Kim for having me!! 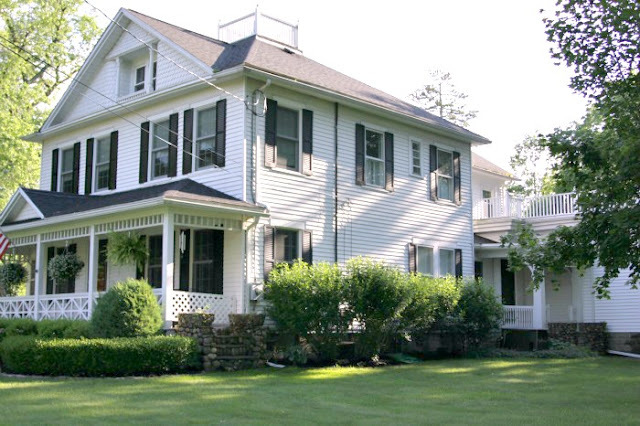 What a beautiful farmhouse! Thank you for sharing Susan's home today, Kim. I LOVE the Dining room...that wallpaper is absolutely beautiful!!! Thank you Cindy! I promised I would never take it down since it was a bit of a splurge! It's been up for ten years and I still love it! Oh, how I'd love a porch like that! Lovely home... :-) Thanks for sharing it!! I love your pretty farmhouse, Susan! Thank you for sharing, Kim. I'm off to visit Susan so I can see more! Thank ladies so nice of you to take time to comment!! susan's home is so pretty. it's such a warm and inviting home. So nice to meet Susan! I will go right over to her blog. I love your beautiful, genuine farmhouse!!!! Luvly farmhouse! Great feature Kim. Thanks for introducing Susan today. I'm smitten! I love your farmhouse, Susan. Susan it is nice to meet you! You have a lovely farmhouse. I am heading over to your blog now. Penny, thank you so much! Thank you so much!! You might have to fight my family, lol! Just beautiful! I definitely am going over for a visit. Thanks Kim for introducing us! Blessings! Thank you! and a big thank you to Kim!! It's gorgeous, Susan! I'm swooning over all those windows. What a gorgeous home - and so cozy too! Not only is the inside beautiful but I could live on that porch! What an outstandingly beautiful home you have, Susan! It looks totally comfortable, too! Thank you for letting us look at your gorgeous home, love love love those porches! Thank you Debbie, it's lived in for sure! Thank you Nancy! So sweet of you!! Can I just live on the porch? You've got a beautiful, yet comfy, cozy home, Susan! Sure Amy come on over! Thank you!! I am with Amy...I'd like to live on your porch as well! Your lovely farmhouse is decorated so beautifully and you are in NY...that is where I would love to live when my hubby and I retire. 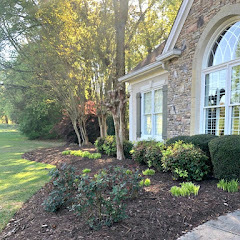 Thank you so much Susan for sharing your fabulous home! What a lovely and cozy home! Thank you for the tour! This is a gorgeous home, inside and out!